Now you can browse through one of the most extensive collections of top-quality, handmade oriental and Persian rugs in the world! 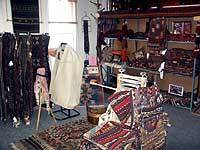 Our Oriental Rug store near Denver is like an oasis for a mystical, magical shopping experience! 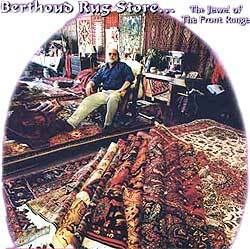 Come in and meet Phil Auserehl, one of America’s foremost authorities on Oriental carpets and rugs. Phil will be happy to give you a private tour and explain to you all of the intricacies of the ancient art of oriental rug making, proper rug cleaning and maintaining your own rugs. If you’re buying your first Oriental Rug, read our Consumers Tips section to help you make that important decision. Your shopping experience will be exciting, educational and very gratifying! Just image how you’ll feel when your friends “ooh” and “aah” as they gaze admiringly at your exquisitely beautiful oriental art treasure. You’ll smile with pride as they reach down to touch the soft but firm texture of your new pride and joy! You can be sure to find just what you’re looking for in our extensive collection of the world’s finest oriental rugs & carpets. You’ll be fascinated by the intricate designs, luxurious colors and meticulous workmanship! 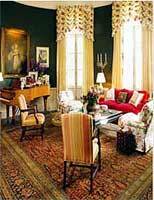 You will learn the secrets of what makes quality rug construction, coloring and styling. This valuable information helps you make an informed decision when choosing the right rug for your home or office. Your oriental rug is more than just a masterpiece of artistic workmanship. It’s a timeless work of art and a valuable investment. Come let us give you a guided tour. We’ve been preparing for your visit for over 30 years! Appointments and “walk-ins” are always welcome. 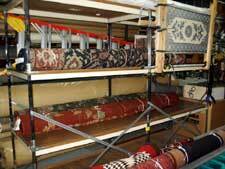 Check out our Consumer section to gain knowledge before you purchase your rug. Phil Auserehl, Jewel of the Front Range – If you have questions about your Oriental carpets, Persian rugs or other flooring questions or comments, click here to ASK PHIL.